MOLDOVA. 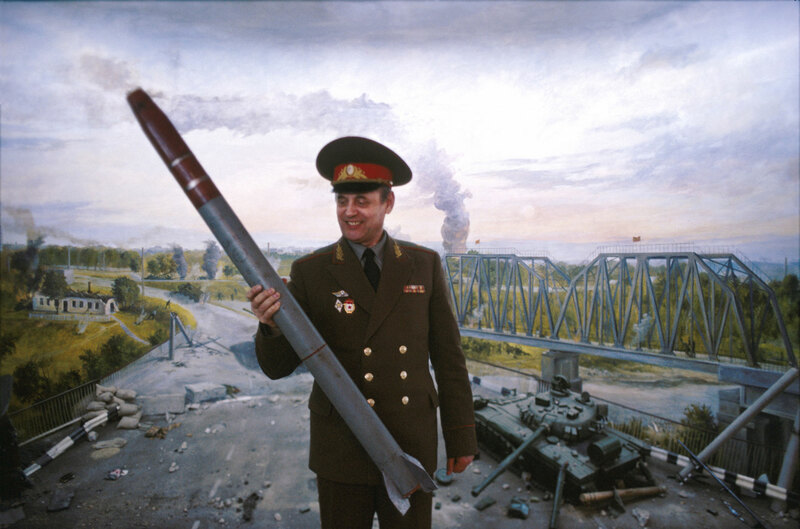 Transdniesterian deputy minister of defense looking lovingly at an Alazan missile in front of a scene from 1992 breakaway war with Moldova. The Alazan missile has been in the media's focus as of late, with a Washington Post article accusing Transdniester of lacing the small missiles with nuclear dirty bomb warheads, something the government strongly denies. 2004.